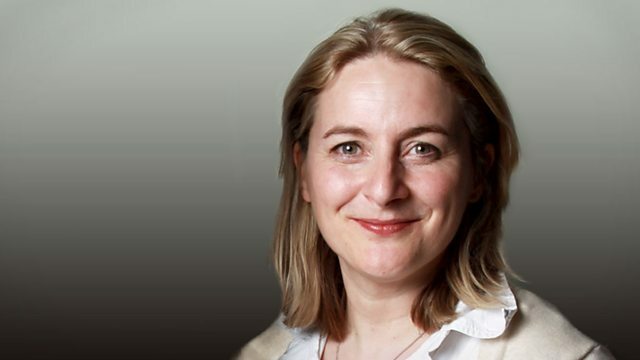 Sian Williams and Richard Coles with writer, comedian and celebrity masterchef winner Emma Kennedy, John McCarthy in Maastricht and the Inheritance Tracks of Sir John Major. Sian Williams and Richard Coles talk to comic, writer, children's author, winner of celebrity masterchef and fan of noir Danish cop show 'The Killing', Emma Kennedy, hear about former investment banker and farmer Jan McCourt's 'love letter' to the NHS after he narrowly escaped death under the wheels of his own tractor, remember the first ordination of women in the Church of England with the Revered Jane Hayward, squeal as JP Devlin recreates James Bond's wet shave with a cut throat razor, enjoy the metronomic pleasure of a listener's clock built by their father, travel to Maastricht with John McCarthy and listen to Sir John Major's Inheritance Tracks. The actress, writer and winner of Celebrity Masterchef talks about her work, food and her obsession with Sarah Lund. The Killing Handbook is published by Orion Books. Having watched the new James Bond movie, Skyfall, JP went to get a traditional wet shave from barber Ola Jafar. 6 years ago Jan was involved in an serious accident on his farm. He tells us about his recovery and about his farming life. Jane was one of the first women to be ordained, and she talks about her life in the church. Kris tells us about the clock that her father made. Sir John chooses After the Ball is Over performed by Gerald Adams and the Variety singers as his inherited track and What a Wonderful World by Louis Armstrong to pass on. John McCarthy visits the location of the treaty signing.